Sergey Karjakin from Russia has dominated the Basque system chess tournament with a great score of 8,5 out of 10. His advantage over second Shahkryiar Memadyarov from Azerbaijan was up two points. Bronze went to Ruslan Ponomariov from Ukraine. 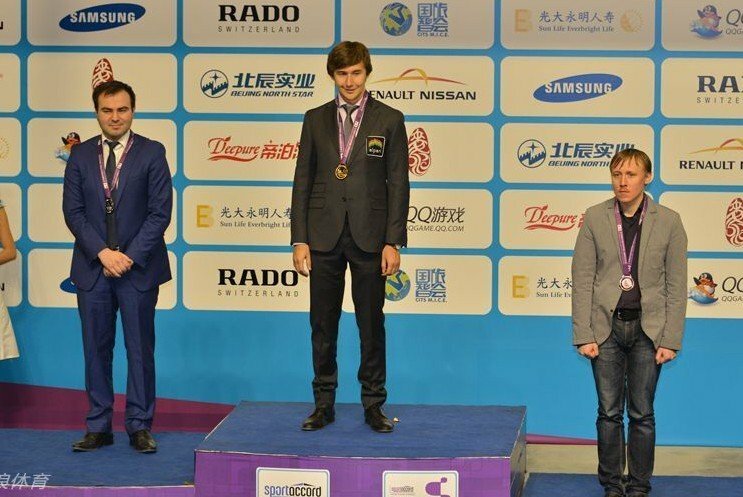 Karjakin after winning blitz tournament didn't slow down his ambitions. He was playing very quickly, confidently and accurately. He was sole leading after day 1, but after last two rounds he even enlarged his advantage. 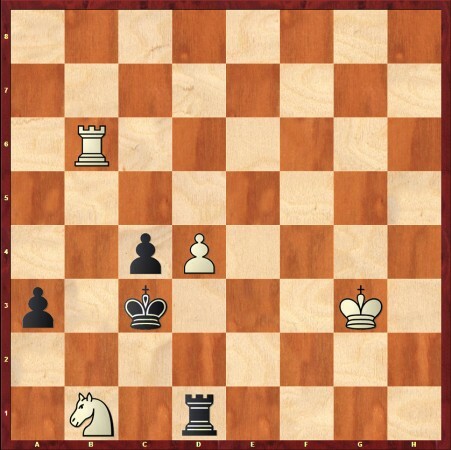 After equalizing easily after the opening, black didn't pay enough attention to this game and suddenly it appeared not as easy as it seems to be. 38...gxh5? The only solution was 38...Kd7!! 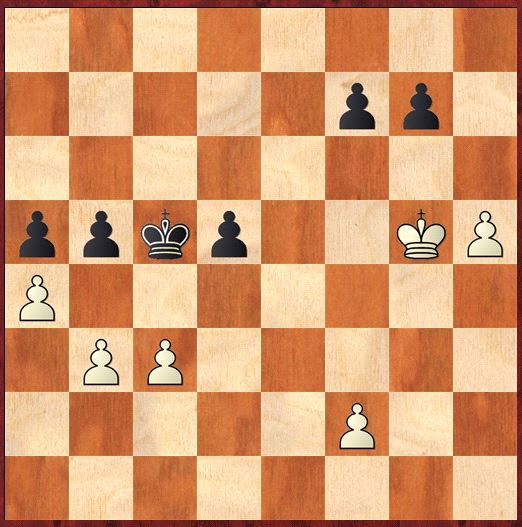 and as white can't take the pawn 39.hxg6 hxg6 40.Kxg6?? c5!! -+ this should end up with a draw. White is winning the race. 42... a4 43.bxa4 Kxa4 44.f5 Kb3 45.f6 gxf6 46.Kxf6 Kxc3 47.h6 and white won the game. Shahkriyar Mamedyarov was in the middle of the crosstable after first day, but after convincing win last match 2-0 against Levon Arionian he jumped into the podium. The Basque System appeared to be really interesting idea, not only for spectators but also for the players. Would it become more popular in the future? We hope so! The Basque event, in the 2013 World Mindgames, became a thriller. In the female section, the gold medal winner was decided only in the last minute of play, after one of the most dramatic chess matches ever at the mind games. One thing was clear before the last round, the gold medalist would be chinese, as all three leaders represented China. Zhao Xue and Ju Wenjun played each other in what turned out to be in reality a final. 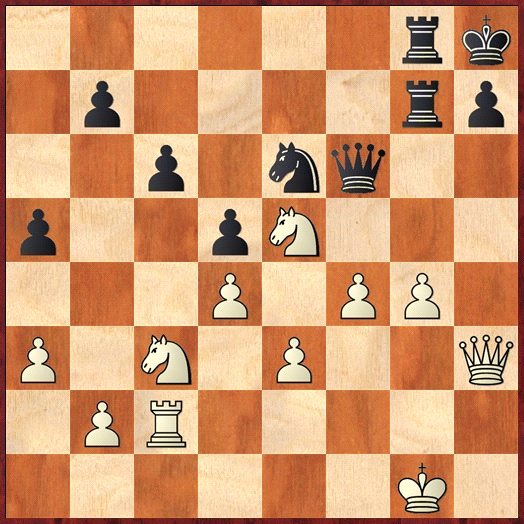 Zhao, playing the black pieces, had a solid position, but her last move, 29...Nd7-f6?? was a terrible blunder, as now with 30 h4! the black queen is simply trapped! If 30...Qh5 31 Bd1! Simply wins the queen, so Zhao tried 30...Nxe4 31 hxg5 Nxg5 but the extra white queen proved more than sufficient, and Wenjun easily won the game. This was just not Ju's lucky day. Here she almost gets a last chance to save the game, as after 75...Rxd7!? 76 Bxd7+? Kxe2 surprisngly the position is a draw! The point being that if 77 g3 Kf3! 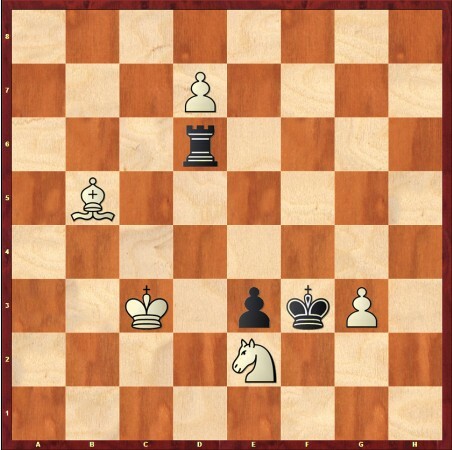 white can not simultaneously stop the black pawn from queening and protect the g4-pawn. But 76 Ng1+!! would win for white, so instead Ju tried: 75...Kf2 But after 76 g4 she resigned, and in just the last seconds of play, Xhao had wristed gold from the hands of her compratiot Ju. 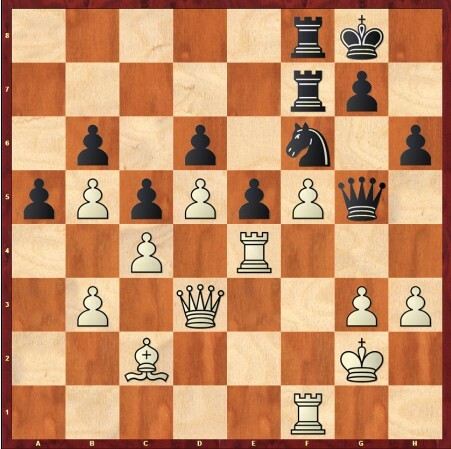 Hou has just given a check with the knight on b1, and would Gunina have sacrificed her rook with 69...Rxb1! 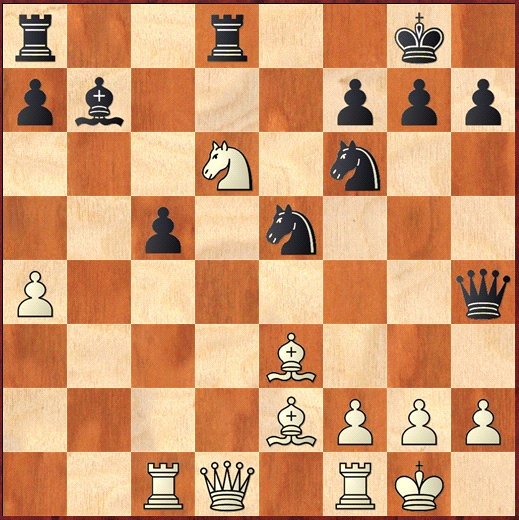 70 Rxb1 a2 her pawns would just be in time to secure the for her much needed draw, but instead came 69...Kxd4?? 70 Rd6+! When Hou wins the black rook on d1, and with it the game! 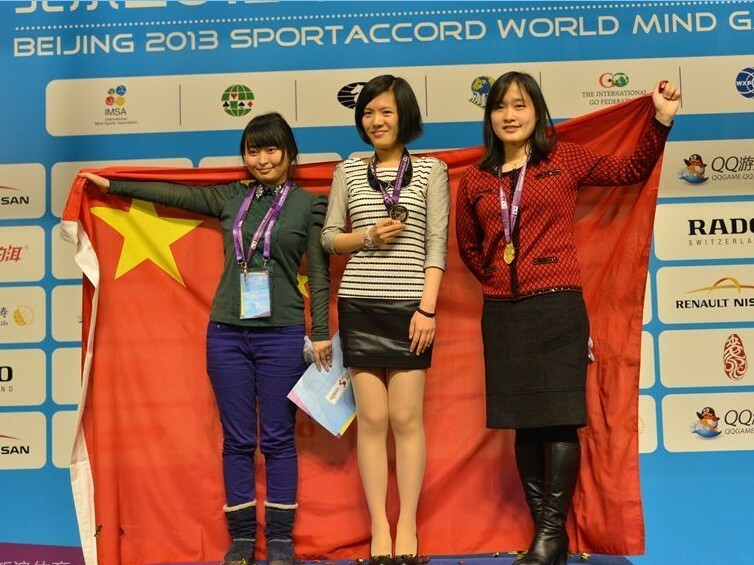 A dominating performance by the chinese females, once again confirming them as the world leading female chess nation. Blitz gold medalist Sergey Karjakin of Russia is sole leader after the first day of Basque system chess event. 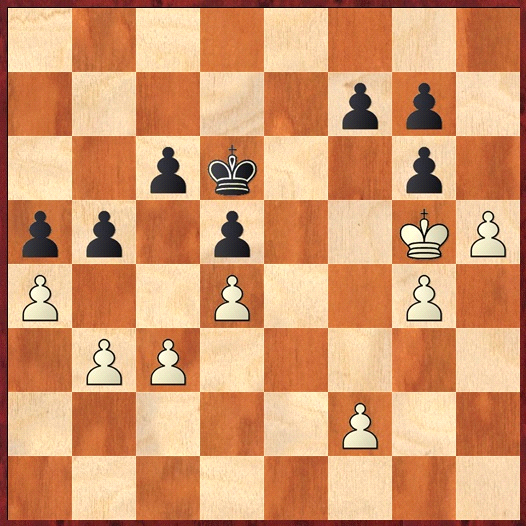 Basque system is an interesting idea, opponents are playing on two boards simultaneously, one with white pieces and one with black. It makes the matches really exciting. One of the most important parts is the time management. Sergey Karjakin already in the first round appeared to has a good strategy, he won his match vs rapid silver medalist Peter Leko 2-0. 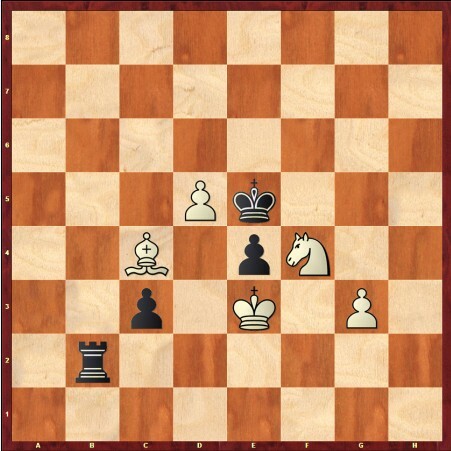 Hungarian has an equal position on both boards, but he get into time trouble and made few small mistakes, which was enough to lose both games. It was a good example how easy it is to lose control totaly when something is going wrong on one of the boards. 42...Bxc4 43. dxc4 Kc5 44. Kd3 g5! Today the chess-tournament introduced the ”Basque” system to the 2013 World Mindgames. Its played like regular chess, but with the opponent playing 2 games simultaneously! 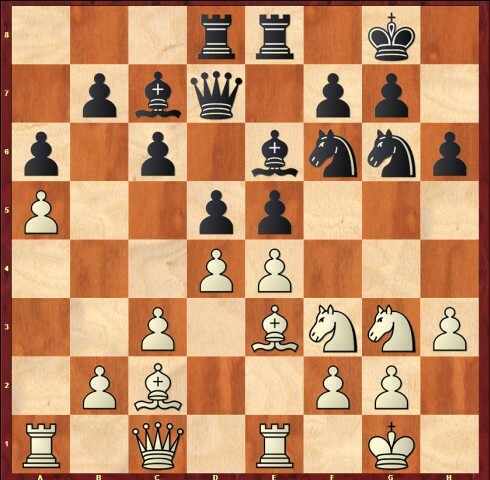 That created a lot of tense an interesting situations, especially when both players where in timetrouble, on both boards! Its a unique feature of mindgames, thats its actually possible to play more than 1 match at the same time, in football obviously such would be impossible. The premiere day at the 2013 World Mindgames went excellent, and both online spectators and TV-viewers saw excellent action. But apart from just being entertaining, also medals where at stake, and the players went to the new and different challenge with great spirits. But despite that lots had changed, somethinsg remained the same, and Hou Yifan, the 19 years old Womens world Champion, and 2013 World Mindgames gold medalist in blitz, got of to an excellent start by beating former World Champion Antonetta Stefanova of Bulgaria by 2-0. Sergey Karjakin from Russia won the blitz tournament with 19.5 out of 30 games.Levon Aronian from Armenia finished with the same score, but he lost the direct match 0,5-1,5 and he had to deal with a silver medal.3rd place was shared by Maxime Vachier-Lagrave from France and Shakhriyar Mamedyarov from Azerbaijan. The same tie-break score decided, a bronze medal went to the French man. Last part of the tournament was very exciting, we could have seen a lot of changes on top of the crosstable. On the beginning of the day Shakhriyar Mamedyarov was leading, but after few rounds Le Quang Liem from Vietnam, who is well known as a succesful blitz player, had an advantage of a full point. Unexpectedly he lost few games in a row and after all he didn't manage to fight for a medal. The top position went back to Aronian, who had been leading after day 1.